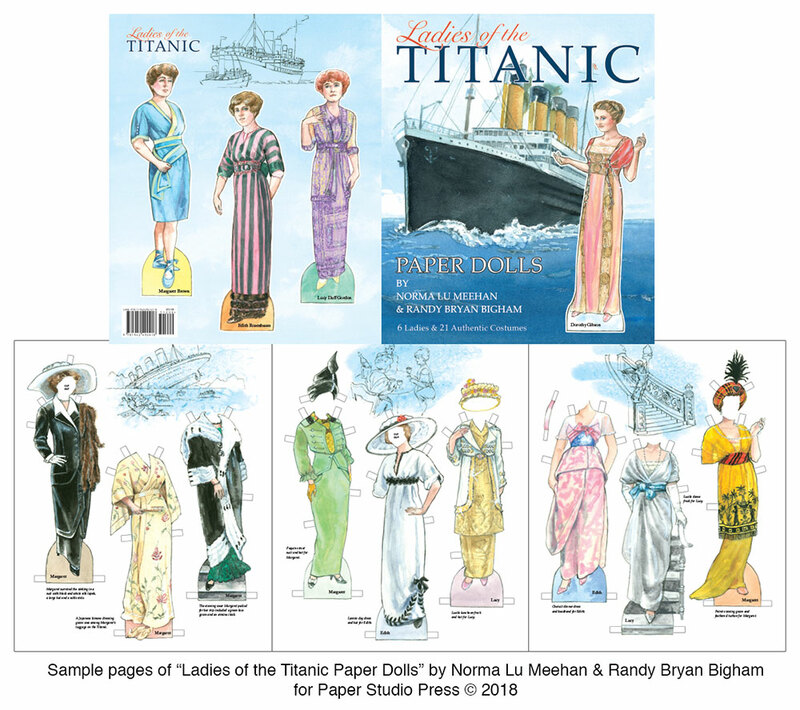 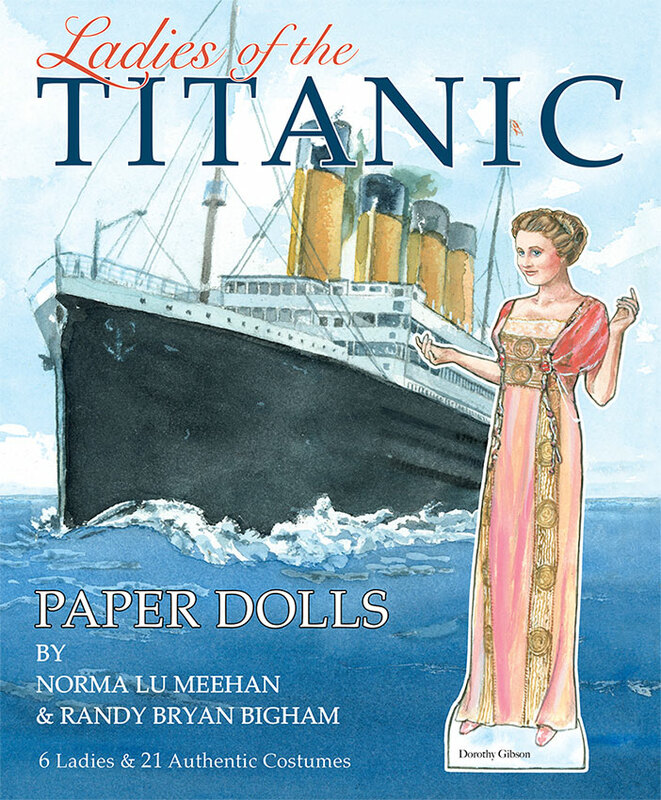 Acclaimed paper doll artist Norma Lu Meehan has teamed up with fashion historian Randy Bryan Bigham to present a truly exceptional paper doll book honoring real women of the Titanic. 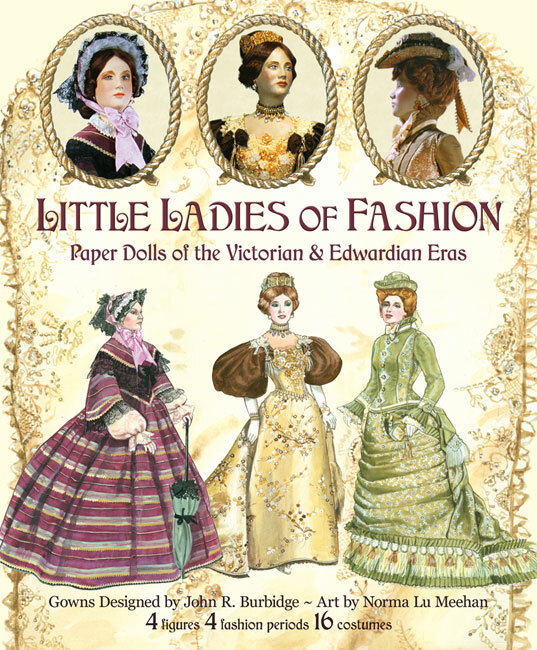 Representing First Class are dolls and fashions for millionairess and suffrage advocate Margaret “Unsinkable Molly” Brown, film actress and commercial artist’s model Dorothy Gibson, fashion writer and importer Edith Russell, and acclaimed fashion designer Lucy Duff Gordon (working under the name Lucile). 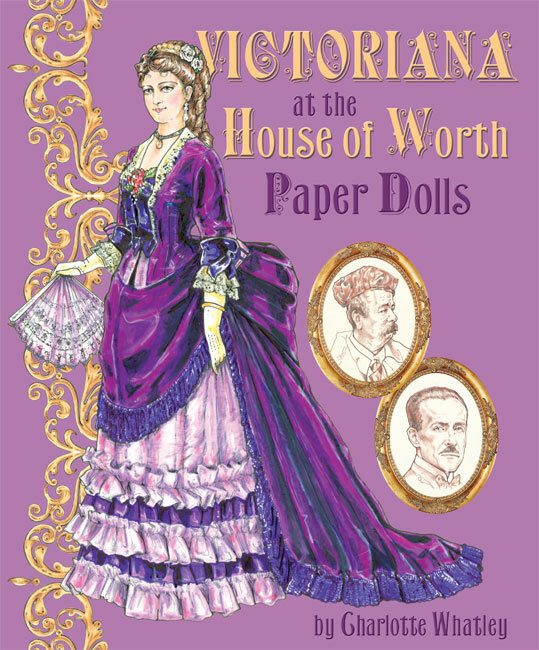 Second Class is represented by Christian missionary Sylvia Caldwell, and Third Class is represented by immigrant Catherine Buckley. 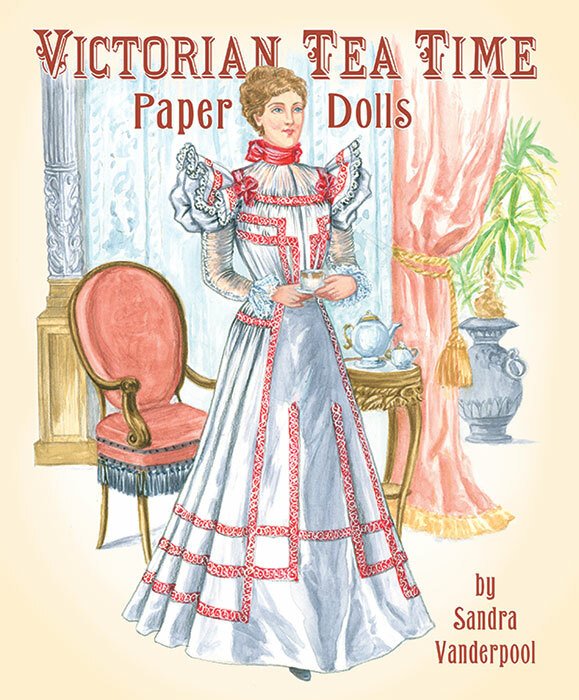 Where possible, fashions were references from photographs, press descriptions and other available records. 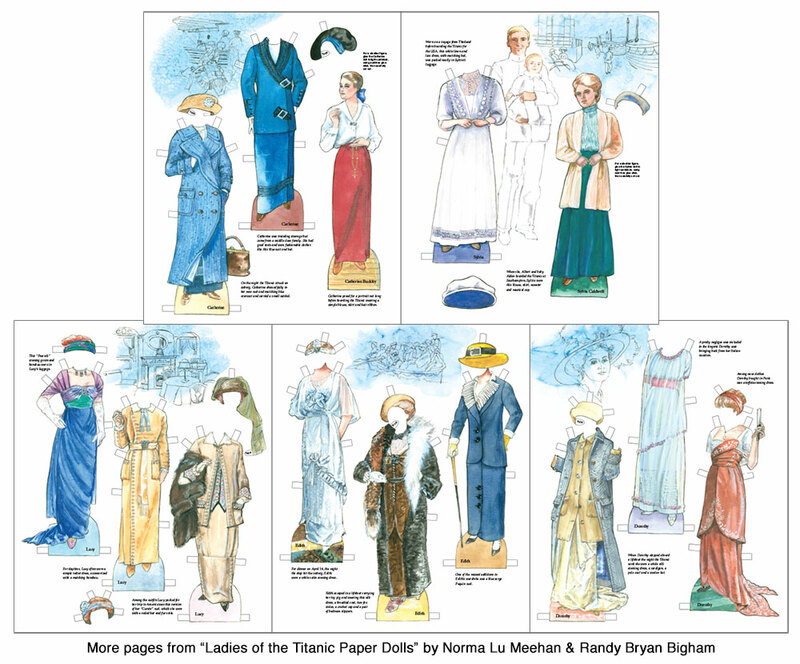 Among the 21 costumes are designer fashions by Paquin, Lanvin, Lucile, Cheruit and Poiret.